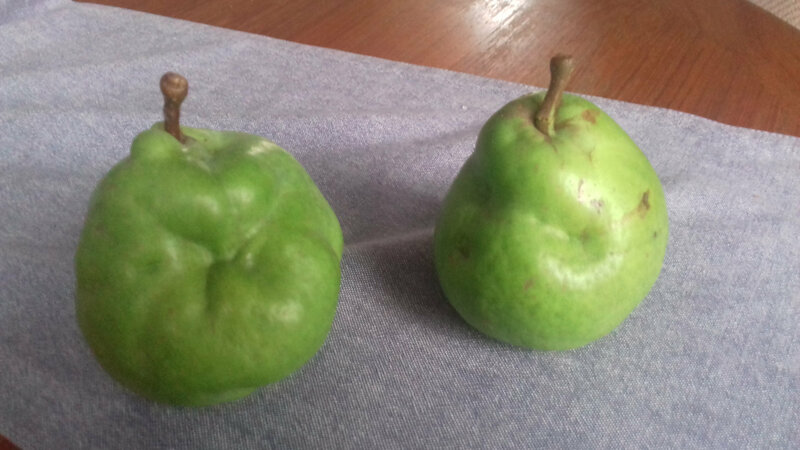 Two pears blown off the tree are badly misshapen; why? Not sure what the variety is. They are very large and are a late to mature. If you cut into them, are there any brown gritty patches in the flesh? If so, then it’s a virus called stony pit. 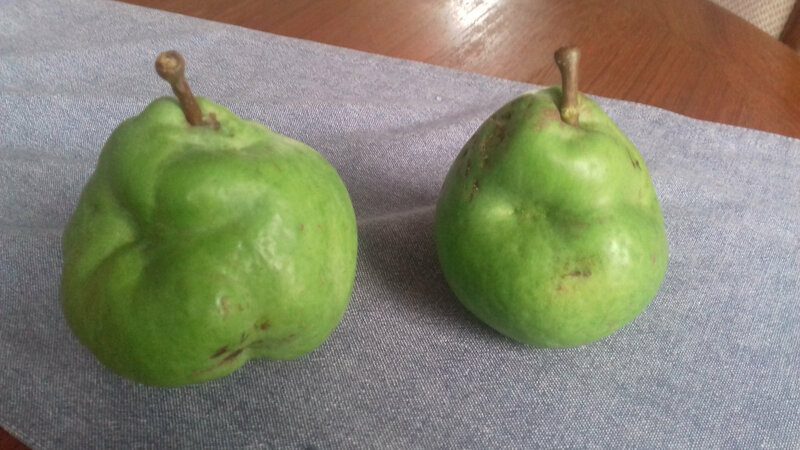 Or it may be that the young pears were attacked by some sort of sap sucking insect and that affected their shape. 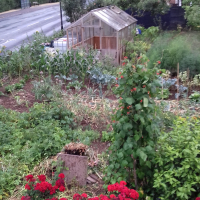 But more likely it is the result of the hot dry summer and an irregular supply of water to the growing fruit.